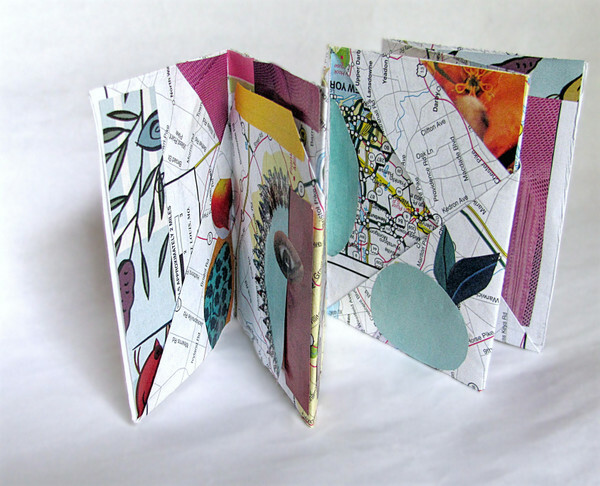 I was instantly enamored with the little folded booklets I saw in this April blog post at CappuccinoAndArtJournal. 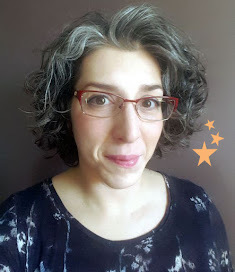 Blogger Pamela was kind enough to get the message to her friend Monica, "the Artful ReCrafter" about the project and a tutorial was born (10/18 update: blog seems to be offline, broken link removed). Thank you ladies, I appreciate this so much! I added an extra fold to the first one I made, and used paper scraps to collage on every page. This one is in the spirit of the Artstronauts club, and I'll be adding pen and marker details to them in the future. It's pretty small - a business card can fit in the folded pockets. This next one was created by taping together two pages of an old atlas. The pockets are big enough to hold 4 x 6" photos & I'll be sending it out to family that I recently visited in PA. I hope my nephews notice the map features of their home state. 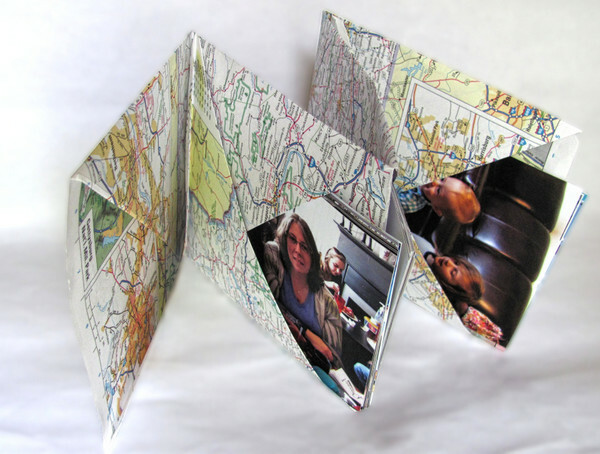 Paper-crafting lends itself well to recycling projects - for example, the atlas was on its way to the recycling bin before I rescued it to use; and the small collage booklet was created with a map that came with my rental car while on vacation. Thanks to the sharing, community spirit of the internet, this is another clever project that can have many uses. The next one that I'll make will have paper signatures sewn into the valley folds of the booklets, to create a journal with built-in pockets. Have you done any recycled crafts lately? Any paper-crafting projects? Very fun, Tamdoll -- I like what you did, especially the booklet that can hold the photos. So happy you enjoyed my post and Monica's tutorial. The sharing in the blogging/arts community is so lovely. Thanks for the blog shout-out too. Thanks Pamela! I feel encouraged that all is not lost in the crafty blogging community & appreciate you all so much! Thank you so much for posting your versions of the envelope based on my tutorial! They look wonderful. My thanks to Pamela too for all her help and encouragement to get me blogging on a more regular basis! I have another envelope tutorial coming up that I hope you like. Thanks for stopping by Edi! These little books are addictive, I'm going to have to come up with something good to do with each one of them.